Alpha Omega Theatrical Dance Company creates, performs and educates through the art of dance. We explore, celebrate and provoke thoughts while connecting cultures and bridging audiences to contribute to life’s infinite expressions. Alpha Omega Theatrical Dance Company is a contemporary modern dance company. The main techniques employed are modern, but the audience is treated to many different styles and influences. The dances range from urban life to that of tribal influence, and from the abstract to the dramatic. The company takes pride in delivering performances that are energetic, uplifting, cultural, passionate, and all around entertaining experiences. 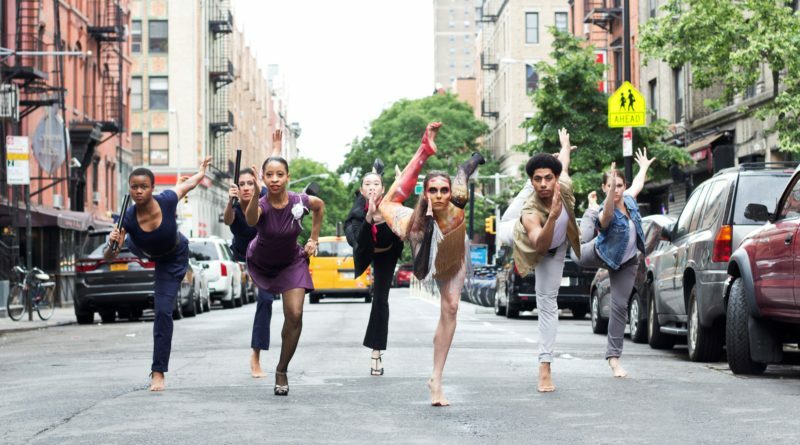 Alpha Omega Theatrical Dance Company was founded in 1972 by Ronn Pratt, Dolores Vanison-Blakley, and Miriam Greaves to provide a platform for minority dancers and choreographers. A creative venue for artists and a safe haven for inner city youth it has served thousands for over four decades. Under the artistic direction of Enrique Cruz DeJesus, Alpha Omega Theatrical Dance Company continues to build audiences through delivering performances that are energetic, uplifting, cultural, passionate and all around entertaining experiences. Serving communities through outreach programs and performances, and educating youth with programs that provide a positive social outlet as well as a forum for those interested in a professional career. The main techniques employed are modern but the richness in background is such that the audience is treated to many different styles and influences. The dances range from urban life to that of tribal influence and from the abstract to the dramatic. Alpha Omega offers drop-in adult open classes. These classes are open to professional and non-professional dancers. Classes are open level or introductory. A single class is $17 – $20. Classes offered are Ballet, Salsa, Graham Technique, Pilates, Yoga, Theatre Dance, Zumba and more! You may register online or in person. Alpha Omega offers a Young Adult Workshop for dancers aged 14 and older. This program is designed for individuals who enjoy dance, and want to improve their technique in a nurturing and profession environment. The program is conducted with a holistic approach and an emphasize on the importance of being a versatile dancer. Formal dance training is not required, beginning and professional dancers are all welcome. Alpha Omega has over forty years of experience running Arts Education programs in New York City School. Their programming utilizes dance to build self confidence and esteem and benefit students’ physical and mental health to enhance the quality of life for children. The Arts Education programs consist of performances, workshops, residencies, master classes,lecture demonstrations, collaborations and special events. All activities work in tandem with the school curriculum. For more information or to get your school involved, email info@alphaomegadance.org. The company is available for local and long distance touring and offers full length performances for indoor and outdoor venues. We are available to teach master classes, residences, and lecture demonstration. We tour with seven company dancers, lighting designer, and artistic director.